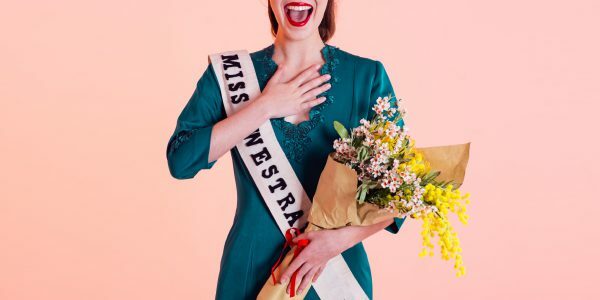 When a Geraldton girl is crowned the unlikely winner of the first Miss Australia competition, she becomes a celebrity overnight. Discover Australia’s pageant past accompanied by some of Perth’s most exciting vocal talent. This musical comedy will have your toes tapping just inches from the action, as we uncover this untold piece of local history. Composed by the award-winning team behind On Hold-A Musical (Best Aussie Short: Flickerfest, Dendy Top 10: Sydney Film Fest), the music and lyrics fuse nostalgia with contemporary wit. Join us for this world premiere as we do the Charleston from outback Australia to the roaring cities of the USA. Based on a true story, Miss Westralia is set to be Australia’s next hit musical!